At low settings Gear of War 4 looks awful, though this is to accommodate the lowest end hardware for 1080p 60FPS gameplay, turn the texture settings up from here and the game doesn't look that terrible, though you will want to turn the settings higher if you can. 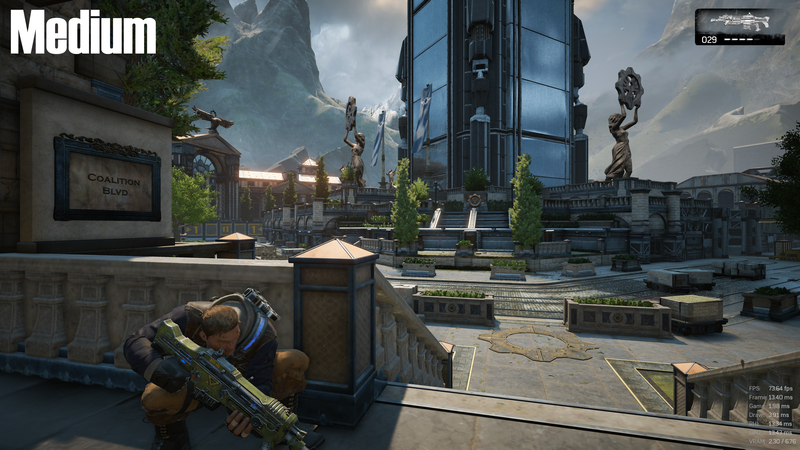 High settings are where most players should aim towards, as it has a great balance between performance and graphical fidelity, with textures which will be hard to differentiate from Ultra settings unless you are playing at 1440p or higher resolutions. 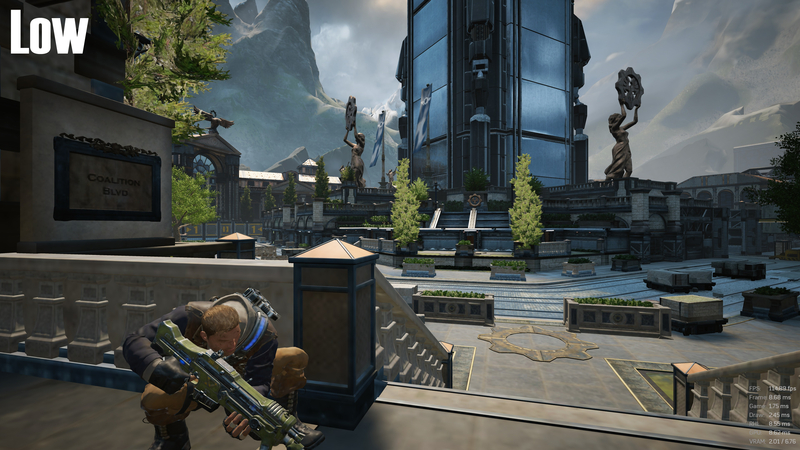 Only High and above settings will include a large amount of foliage, which goes a long way to make the world look withered and decayed after the original Locust Invasion. 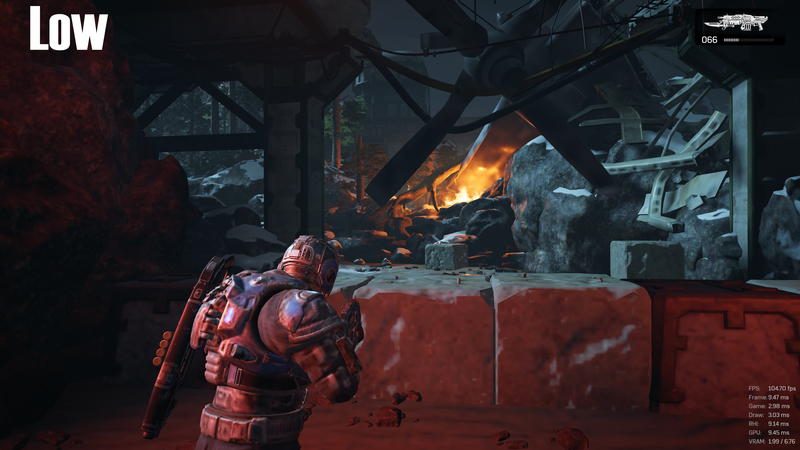 Below we can see that the largest differences in the game's graphical settings are in shadows, textures and lighting, with the game's environment remaining almost unchanged. 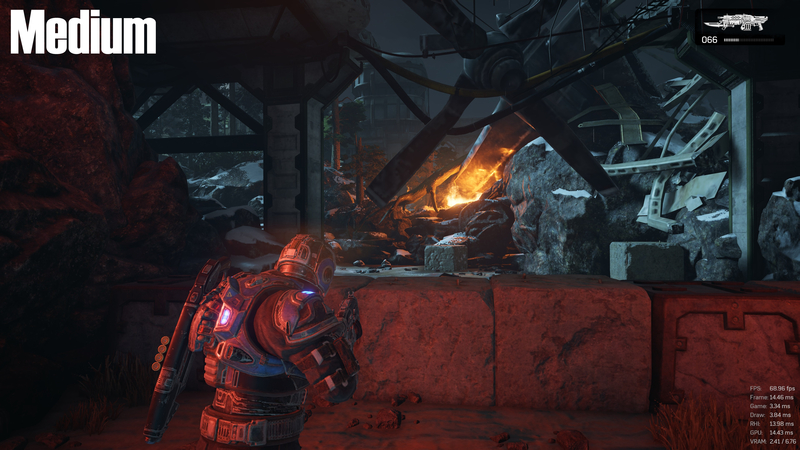 Unless you are looking closely at environmental details the difference between High and Ultra settings can be difficult to notice. 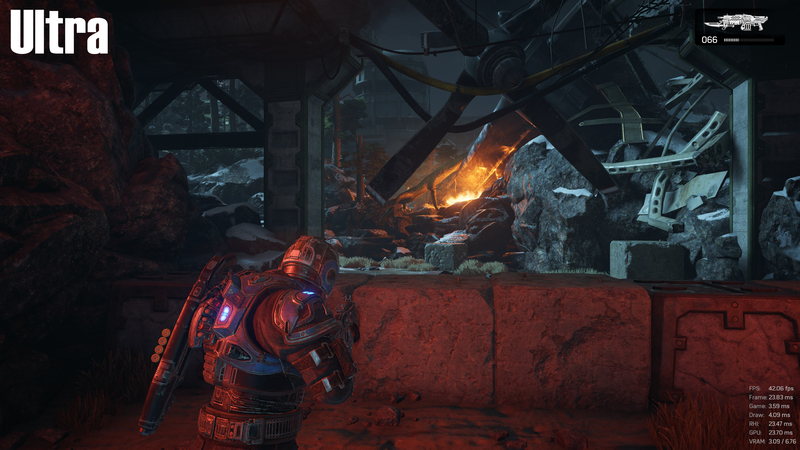 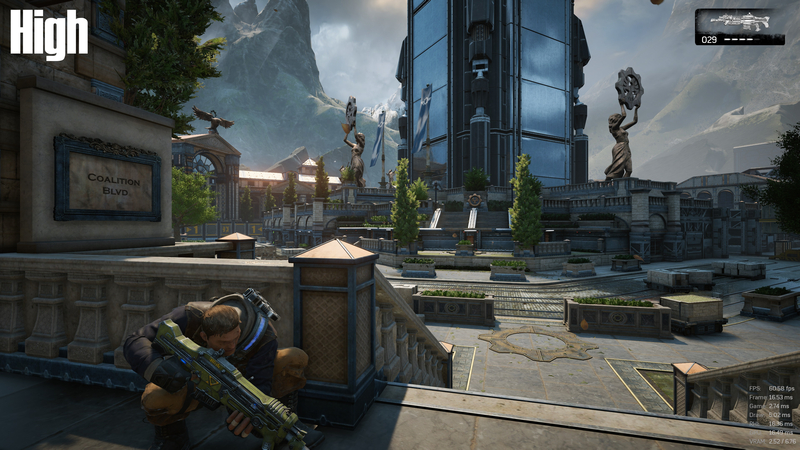 It is advisable that PC players play Gears of War 4 with the highest resolution textures that they can, as the lower graphical settings have some very low-resolution textures and make the world look very dull and lifeless.